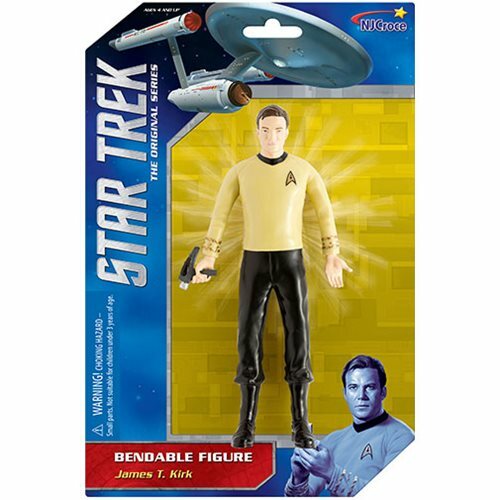 Captain James T. Kirk is known for his flexibility in the face of uncertain events, and that is certainly true of this Star Trek: The Original Series Captain Kirk 6-Inch Bendable Action Figure! Armed with a phaser, this bendable, poseable figure is ready to explore strange new worlds. Ages 4 and up.